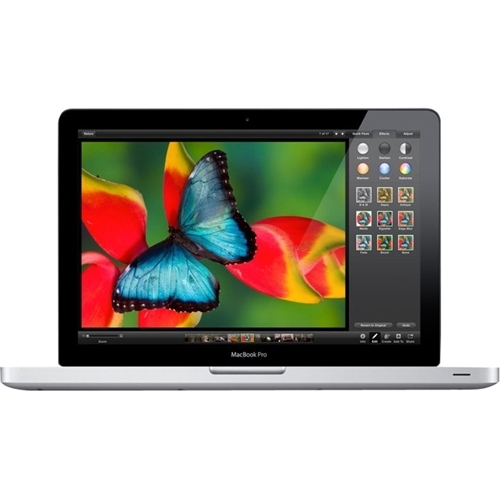 Refurbished Apple MacBook Pro Laptop: Enhance your productivity with this refurbished 13-inch Apple MacBook Pro. Featuring an Intel Core i5 processor and 8GB of RAM, this laptop delivers the power to smoothly run multiple applications at once. This refurbished 13-inch Apple MacBook Pro provides ample room for pictures, documents and media files with 500GB of storage.